Eventually, you're going to need refills for your Adventure Time BMO Waste Dog Bag Dispenser for your pet (sold separately). So, why not order these Adventure Time Scented Dog Bag Refills now? 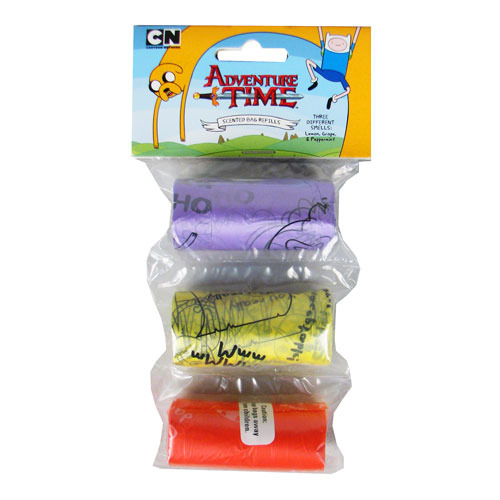 The three rolls are themed to Adventure Time and each has a different scent: lemon, grape, and peppermint!